Got the blues? We’re not talking feeling down here, we’re talking three chords and a flat third. You remember learning the pentatonic scale, then the blues scale, right? But there was always something missing. 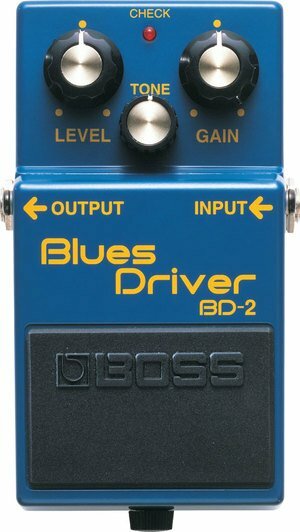 Thankfully, BOSS has their Blues Driver pedal, and all you have to do is sit in the back seat and play. With a touch of your foot, you get that warm tube crunch, not crazy overdrive or distortion, but a sound that responds to your touch as you dance across the strings. No need to worry about your sound here, and that gives you time to work on your pain face, you know, for when you hit those killer notes. 2-7/8 x 5-1/8 x 2.38"